How to Reset Windows 7 Password with Windows 7 Password Reset Disk? Windows passwords may not be the best way to keep our computer data secure, but for most of us, they’re the best we’ve got. However, it’s dreadful to forget those Windows log-on passwords. Thankfully, if you plan ahead, you won’t have to worry about it again. Here in this article, I will tell you how to make a Windows 7 password rest disk. Planning ahead for creating the Windows 7 password reset disk. Before getting started, make sure you have an empty USB flash drive or CD/DVD at least 1 GB in size. Step1: Insert the USB flash drive or CD/DVD into your computer. Step2: Enter Reset in the Windows 7 search box and select Create a password reset disk. Step3: When the Forgotten Password Wizard appears, click Next. Step4: Select your USB flash drive or CD/DVD and click Next. Step5: Once the wizard finishes creating the reset disk, click Next, then Finish. That’s it. Pretty easy, aha? But we actually didn’t realize how important the Windows 7 password reset disk is until we forgot the Windows 7 password. No worry. If you didn’t create a Windows 7 password reset disk beforehand, then now never lose time to create a new one with some certain professional tool. Create a new Windows 7 password reset disk with Windows Password Recovery Standard. Step1: Download and install. First you have to download this tool to an accessible computer. And then install, run it correctly. Step3: Choose CD/DVD option in the interface and then click “Burn” button to start burning the CD/DVD into a Windows password reset disk. Step4: Once the burning finishes, click “OK” to end it and take out the CD/DVD out from PC. Here’s how this Windows password reset disk reset Windows 7 password. Step1: Insert the burned CD/DVD to the target/locked PC. Step2: Start the computer and then set this PC boot from CD/DVD in BIOS. 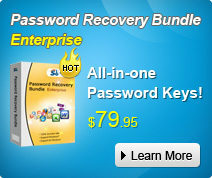 Step3: Start to recover Windows 7 password with the password reset disk in less than 3 clicks of button in the interface. Step4: Reboot the PC, and log in Windows 7 without password. Additionally, Windows Password Recovery Standard has the ability of resetting passwords for all other Windows operating systems such as Windows XP, Vista, 2003, 2008 etc.